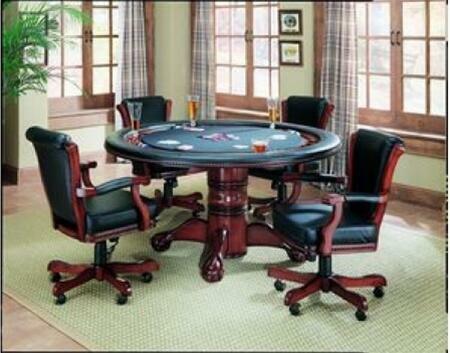 The sophisticated style of the Westport Game Set creates a game room with distinct flair. This beautiful table and decorative base are finished in a warm brandy and include four adjustable action chairs with black leatherette seats. You’ll have plenty of playing space around the classic Westport game table. Set includes table and 4 game chairs.